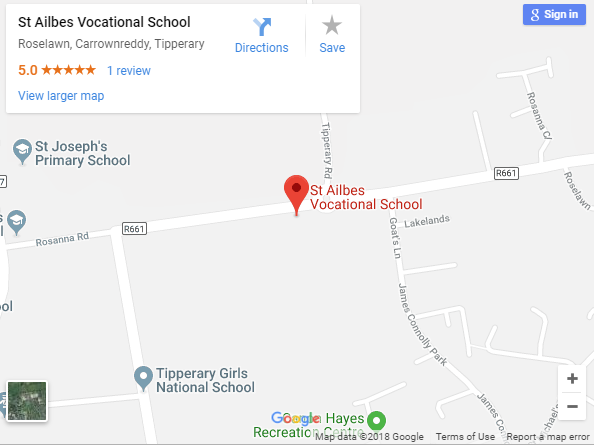 Facilities at St. Ailbe’s School are modern and we are continuously updating facilities in various areas as the changes in curriculum require. In our new canteen a free breakfast is served daily where students can have a cereal, toast and orange juice and for those students who opt for supervised evening study they can have some tea and sandwiches before they start their study. 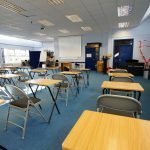 The school has three fully equipped science laboratories. 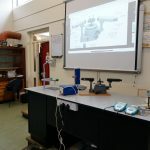 At both Junior and Senior levels the students are given the opportunity to carry out practicals themselves. 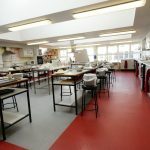 The Art room has excellent facilities for Junior and Leaving Certificate Art with facilities for crafts such as Enamelling, Batik and Printmaking. 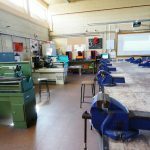 Two fully equipped Engineering workshops with equipment for teaching Pneumatics, Electronics, CAD/CAM, Plastic forming, brazing and welding. 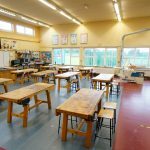 The school has a fully equipped room for Junior Cycle Woodwork equipped with tools for carving and fretwork. For Senior Cycle the Construction Studies room has a Wet Trades area. 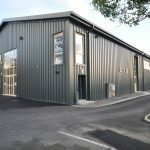 Facilities also available for Woodturning. 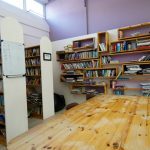 Three computer rooms are equipped with modern computers with multi-media capabilities-CD Rom, CD-Writers etc., a 24 hour broadband connection and top of the range software is available in Word Processing, Database, Spreadsheet, Desk Top Publishing areas. 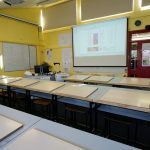 The three Computer Rooms have been equipped with data-projectors for class presentations and conferences. 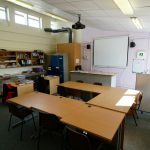 A large majority of the classrooms have computers which are networked and also have 24 hour broadband internet access. The Home Economics area is equipped with a full range of domestic appliances. A wide range of videos are also available on topics in the areas of Nutrition, Childcare, Craft and Sociology. 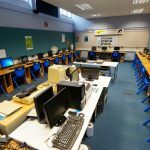 The Business area is equipped with a full range of modern business equipment for the teaching of Business Studies to Junior Certificate and Business to Leaving Certificate. The career guidance office has a comprehensive library of careers information. 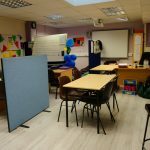 It also has a modern computer and a range of Vocational Interest and Aptitude Tests enabling us to offer a comprehensive Careers and Counselling service. 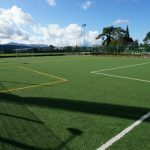 Excellent sports facilities are available in the Canon Hayes Sports Complex, with a full range of Physical Education equipment. 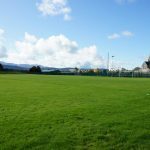 Changing facilities are also available on our grounds for ladies and gents. 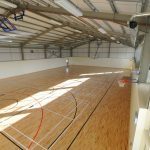 The Sports Complex is used by students and staff for Indoor Soccer, Basketball and Unihock, Badminton etc. It is hoped that St. Ailbe’s School Gym and PE hall will be fully functioning by November 2013. Canteen facilities are available where tea, soup, rolls, and sandwiches can be purchased at a reduced rate. Breakfast: is available to all students free of charge. Cereal, Fruit Juice/Yoghurt and Tea/Coffee, will be served from 8.30a.m. to 9.00 a.m. Lunch: Home-made Soup, Filled Roll/Baked Jacket Potato (Choice of Filling) and Fruit. Evening Snack: This light snack is available free of charge to students participating in our Evening Study and Homework Club Programmes. The Snack consists of Tea/Coffee and Scone. NB: Students can place orders for lunch between 8.30a.m.and 8.50 a.m. Packed lunches are also available for students taking part in competitions.